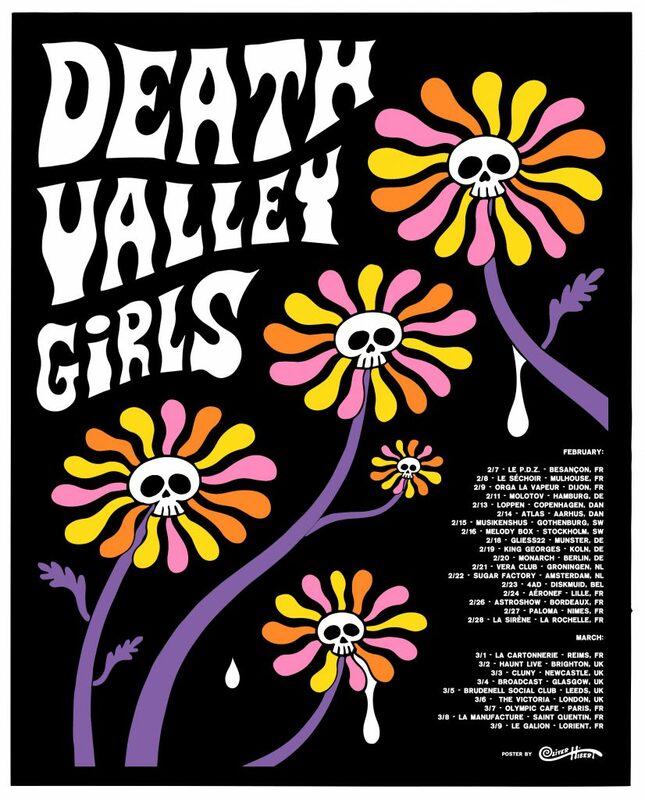 As you already know, Death Valley Girls announced a massive tour within Europe and it starts next week ! France, Germany, Denmark, Switzerland, Netherlands, Belgium, UK : if you live in one of those countries, you will probably be able to catch them. Previous Article← Handsome Jack aux Nuits de l’Alligator 2019 !